The Allotment has created the identity for the new £65m, 13,000-seat venue in Leeds, which has been named the First Direct Arena. 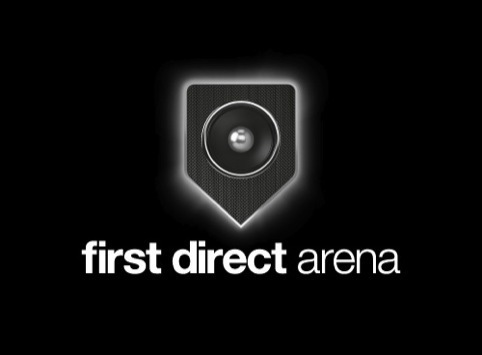 The consultancy was approached by First Direct on the strength of its reputation according to The Allotment’s managing partner Paul Middlebrook. A speaker-shaped marque, ‘acts as a pointer, and also creates a link between the quality and experience of the venue and First Direct, but the use of that will become clearer,’ says Middlebrook. The identity has been applied to the venue as a temporary sign and is now being used across all social media activity. Over the coming months the new arena identity will be rolled out on all literature and digital communications for the venue and associated performances. In addition The Allotment says it will be working on a ‘wider signage programme’ for the venue. The venue opens in July with a pre-launch concert by Bruce Springsteen.